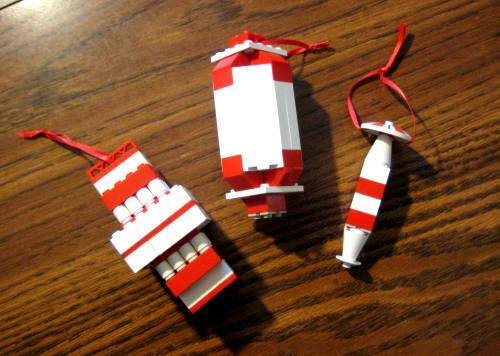 About a week ago my sister-in-law told me about some LEGO Christmas ornaments she had seen on Pinterest. 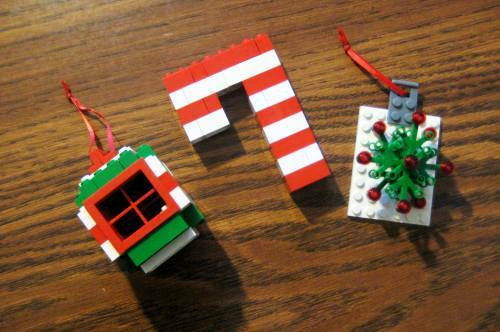 My children absolutely love LEGOs, so when I heard about the ornaments I knew we would be making our own this year. 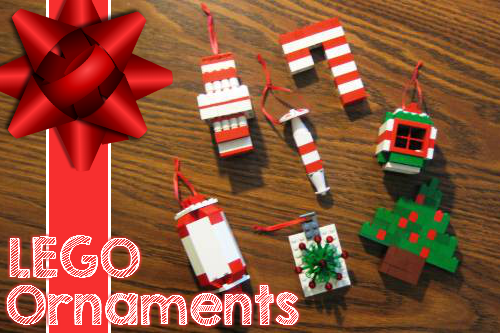 Over the weekend, we looked through the LEGO ornament tutorials to get some inspiration. Because we didn't have all the necessary pieces to create the ones listed on the site, we decided to use our own creativity and make our own instead. In the end we created seven different Christmas ornaments. We used a variety of Red & White LEGOs to make long oval shaped ornaments. You'll notice that at the top of each ornament we used a LEGO piece with a small hole so we could trend a ribbon through it in order to hang it on the tree. Next, we used LEGO window pieces to make a ball shaped ornament that you can look through, more red and white pieces to make a candy cane and some green LEGO leaves to make a wreath. 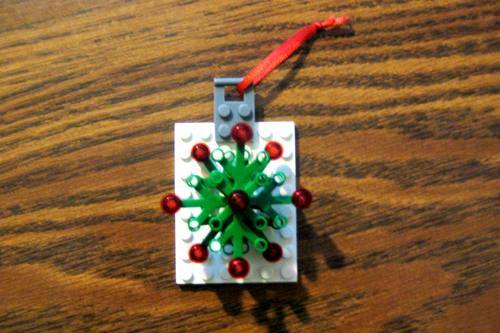 The LEGO Wreath ornament is our favorite creation. 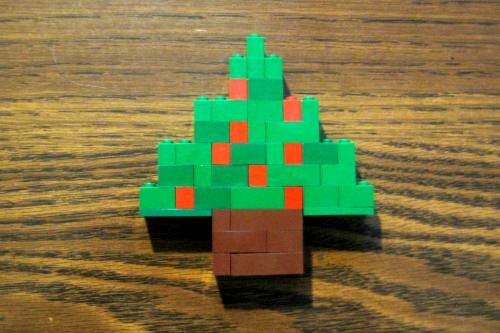 Lastly, we decided to make a LEGO Christmas Tree. We never figured out how to hang this one from the tree, so for now it is decorating one of the end tables in our family room. What unique and fun things have you made out of LEGOs?